The number of grandparents who are raising their grandchildren is going up and increasingly it’s because their own kids are addicted to heroin or prescription drugs, or have died from an overdose. For some, it’s a challenge with little help available. In 2005, 2.5 million children were living with grandparents who were responsible for their care. By 2015, that number had risen to 2.9 million. Child welfare officials say drug addiction, especially to opioids, is behind much of the rise in the number of grandparents raising their grandchildren, just as it was during the crack cocaine epidemic of the 1980s and ’90s. An estimated 2.4 million people were addicted to opioids at last count. Caseworkers in many states say a growing number of children are neglected or abandoned by parents who are addicted. That has forced them to take emergency steps to handle a growing crisis in foster care — and often to turn first to grandparents for help. Federal law requires that states consider placing children with relatives in order to receive foster care and adoption assistance. And grandmothers and grandfathers often are the first — and best — choice when state and local caseworkers have to take a child out of a home and find someone else to take custody, said Angela Sausser, executive director of the Public Children Services Association of Ohio, a coalition of public child safety agencies in the state. In some instances, caseworkers say, grandparents are also struggling with addictions. In Ohio, for instance, the opioid epidemic has grown so large that caseworkers sometimes have a hard time finding any relatives who can step up, said Kim Wilhelm, protective services administrator for Licking County (Ohio) Department of Job and Family Services. For every child in foster care who has been placed with a relative, another 20 children are being raised by relatives outside the system, said Jaia Lent, deputy executive director of Generations United, a Washington, D.C.-based family research and advocacy group. Many grandparents face a host of emotional and financial challenges in their renewed parenting role. And there are often few state or local resources to draw on for help. Twenty-one percent of grandparents caring for grandchildren live below the poverty line, according to Generations United. About 39 percent are over 60 and 26 percent have a disability. And because many are not licensed in the system, they are not eligible for the same services and financial support as licensed foster parents. “Can’t y’all make it easier for grandparents? That’s my request,” said Dot Thibodeaux, president and founder of the grassroots support group Grandparents Raising Grandchildren Information Center of Louisiana. A handful of states are trying to help. In Louisiana, state lawmakers in June voted to establish a grandparents’ council in the governor’s office to study remedies for those tasked with raising grandchildren. 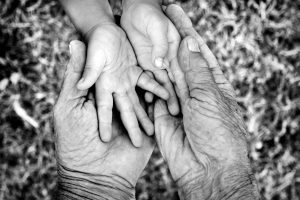 In New Mexico, lawmakers voted in February to set up a task force to study the issue and recommend concrete policy changes that could help grandparents, from legal and financial help to food and housing assistance. A bill lingering in the Massachusetts Legislature would provide grandparents caring for their grandchildren with property tax relief. And Georgia lawmakers considered bills that would make it easier for grandparents to take grandchildren in their custody to the doctor or to enroll them in school, but failed to pass them. The growing trend and the problems it can cause are being noticed by Congress too. In May, U.S. Rep. Danny Davis, Illinois Democrat, introduced a bill that would, among other things, make it easier for grandparents caring for children to receive Temporary Assistance for Needy Families. It’s lingering in committee. In September, U.S. Senate inaction effectively killed a bill that would have provided federal funding for substance abuse programs for families with children at imminent risk of entering foster care. The bill also would have allowed states to waive foster care licensing standards for grandparents and other relatives. Grandparents — especially those who don’t become licensed foster parents or legal guardians of their grandchildren — face a host of emotional and legal challenges in getting help. Many of them often don’t want to apply for legal custody because that would mean taking their own children to court. Or if they apply for welfare, the state could try to make their own children, who may already be struggling with addiction, pay child support. Licensed foster parents have access to services and can get financial assistance with everything from medical care to a clothing allowance. But to qualify, grandparents would have to go through a lengthy process and meet certain requirements. To be a licensed foster parent, for instance, states have specific requirements about square footage and bedrooms for each child. This makes sense if a child is being placed with a stranger, but creates barriers for grandparents who may need to accommodate multiple grandchildren in their homes, Lent said. Although Louisiana offers financial subsidies to help grandparents with the costs of raising children, few apply because they are unaware of the help. Others don’t qualify because they make too much money — even if they earn very little, Thibodeaux said. “You almost have to be on the streets,” said Thibodeaux, who serves on the governor’s grandparents’ council. Some child welfare advocates say that what’s needed is more help for “kinship care” — relatives taking in and raising the children who’ve been neglected. “Everyone agrees that kinship care is the right thing, but there’s no money to pay for it,” said Moissades, the Massachusetts child advocacy official. But there could be a payoff if some help was provided grandparents who aren’t part of the foster care system. According to analysis of foster care payments by Generations United, grandparents and other relatives raising children save taxpayers $4 billion each year by keeping the children out of the foster care system. Back in the 2000s, some states passed legislation establishing “kinship navigator” programs that serve as one-stop shops linking grandparents and other relatives with services such as counseling, housing assistance and short-term financial help. With these programs, other grandparents raising children often served as the “navigators” to advise on how to get help with everything from legal advice to parenting skills. But in some states, budget crunches have made funding for some of these programs unstable, Lent said. In 2008, Congress passed the Fostering Connections to Success and Increasing Adoptions Act, which included competitive grants for kinship navigator programs. Some states used the money to create new programs, but not all are available statewide. Some states, including Florida and Ohio, have federally funded navigator programs that cover part of the state. Today Connecticut, Delaware, New Jersey, New York and Washington state still have statewide, state-funded programs. Child welfare workers say that more federal funding is needed if every state is to have a navigator program and offer services statewide. Isabel Barreiro, of the Children’s Home Society of New Jersey, which is contracted by the state to serve as a kinship navigator in Central New Jersey, said she’s often limited in how much she can do to help her clients. For example, she said, many of her clients live in public housing. Sometimes multiple grandchildren can be dumped on a grandparent’s doorstep, which forces her to try to find a bigger place to live. Barreiro said she doesn’t have the ability to make a bigger apartment magically appear. State child welfare agencies have some power to intervene with housing, she said. Left: Photo by Adobe stock photos.